As the profession itself is self employed one, candidates who finish their Graduation or Post graduation can start their own clinical practice. Along with they will have multiple other opportunities. Medical Officers: The candidates can work as Medical officers in Central or State government run hospitals and their appointment will be made by respective government bodies like UPSC for the farmer and state bodies for the latter. Many private run organizations also appoint Ayurvedic medical officers to run their clinics. And increasing demand for Ayurvedic treatment in these days have created an interest to open sophisticated Ayurvedic hospitals or chain of hospitals in many big companies. And hence getting a job with such organizations is not a difficult task these days and these companies hoist really promising career too. Ayurvedic college run hospitals appoint Ayurvedic graduates as medical officers. And increased numbers of colleges these days have opened opportunities for candidates to get job. Research Officers:Ayurveda has abundant scope for research and development. So both government and private organizations are involved themselves in the R&D of Ayurveda. 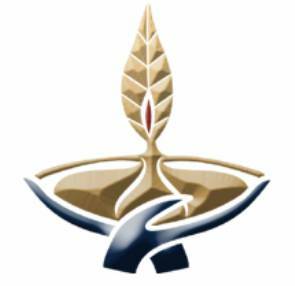 Government organizations like CCRAS appoint Ayurvedic graduates and post-graduates for the post of Research fellow (JRF and SRF). The openings will be advertised regularly in all national news papers and recruitment will be either by entrance exams or by the marks obtained in graduation. There are many public run and private run organizations conducting research activities in Ayurveda. There in also one can get good career opportunity. Pharma industries also have their own R&D department, wherein they appoint Ayurvedic graduates. Nowadays many multinational companies are also entering in Ayurvedic pharma industries and they are very aggressive in capitalizing the increasing demand of Ayurveda and Ayurvedic products. So they are investing huge capital in their R&D. So, its golden period for Ayurvedic graduates to start their career as Research officer. Teaching Jobs:There has been sudden growth in number of Ayurvedic colleges these days. Both government and private organizations have opened a good number of colleges. This has really opened job opportunities for Ayurvedic graduates. But recent amendments in CCIM has made only Post graduates eligible for teaching jobs. So, Post Graduates in respective subjects get a good career opportunities in teaching profession if they are fond of teaching. There are job opportunities in central and state government run colleges also in private colleges. The remuneration is also very lucrative these days. Pharmaceutical companies:The job opportunities with Ayurvedic pharmaceutical companies are increasing. There are various job opportunities at pharmaceutical companies at different departments, viz. Production: Many Ayurvedic companies appoint Ayurvedic graduates as production in-charge to look after their routine production. As Ayurvedic pharmaceutical procedures differ a lot from other pharmaceutical procedure companies prefer the experts in Ayurveda to look after their production. Quality Assurance and Control: This is other department which one can get the opportunity as the quality of Ayurvedic products is well known to Ayurvedic graduates. R&D: As stated above in the section of research officer, one can get job in R&D. Along with other research projects they may be assigned job of new product development. Pharma regulatory affairs: The documents related to obtain the FDA approval, FSC, etc are very essential to any pharmaceutical companies. This activity is always completed with the help of Ayurvedic graduates. This is one department which offers Ayurvedic graduates a good career. Pharmaco vigilance: This is one another pivotal department wherein Ayurvedic gratuates can get a job. Medico marketing:This is a specialised way of marketing Ayurvedic products by pharmaceutical companies, for which they appoint Ayurvedic graduates to present their products to existing Ayurvedic practitioners. This is a very lucrative job and job opportunities in this fields are increasing these days. The one with good oratory skills and very good knowledge of the science can well fit in to this job. Spa: Hospitality sector in India and abroad is a very attractive business these days. The global recognition of Ayurveda and Yoga made this sector to include them as their part of hospitality. Hence job opportunities for Ayurvedic graduates in spa and other hospitality sectors are increasing. This highly paid luxurious job is also one of the best jobs an Ayurvedic graduate can get. BPO/KPO/ITES: India has become an epic centre for BPOs in whole world. As these BPOs entered in healthcare sectors, need for healthcare professionals in these sectors have increased dramatically. And this is the one right opportunity for interested candidates to get a good job in these organizations. One can experience the diversified and lucrative career at these organization. organizations. Food Processing, Cosmetic Companies: Many FMCG companies are coming up with Ayurvedic products viz. Neutraceuticals, cosmetics, diets, etc. For this they definitely need Ayurvedic graduates in their organizations from the start of designing a product to get the permission from FDA etc. 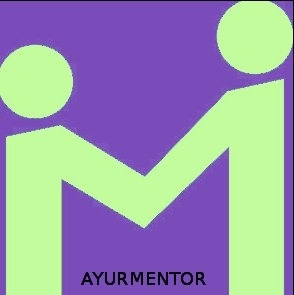 This is one another avenue wherein Ayurvedic graduates can explore a very good career.